Get that Industry Nine Torch Hub running like new and back on the trail with a fresh set of bearings. Industy Nine's self-servicable hubs make it easy to upgrade and maintain that prized high-end hub. 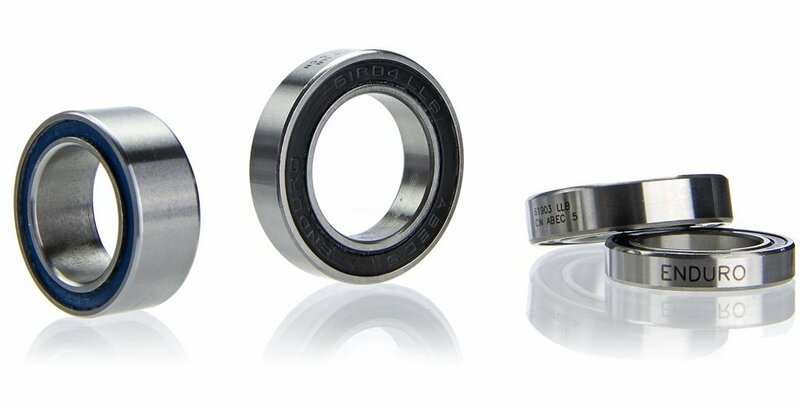 This replacement set of bearings restores your Industry Nine Torch rear hub to its original glory. Dial the meter up to totally gnarbone, it's time to ride! I love my I-9 hubs! 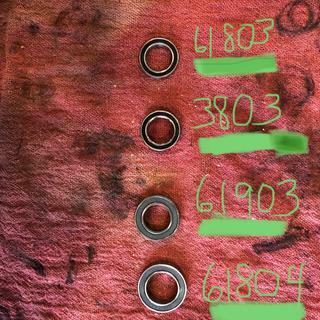 One down side with the design are how the bearings tend to turn into gravel after a few thousand miles. Good news is it's pretty easy to swap them out. Went thru Jenson USA since they have them in stock and reasonable shipping cost. In the past, I have gone thru I-9 direct but was surprised they used a 3rd party to ship the items, and the freight cost was not as reasonable. Now the rear hub is rolling smooth. i9 Torch classic, rear, XD, center lock - doesn't fit.